Getting dinner on the table each day can seem like a monumental task. We want to serve our family a healthy, home-cooked meal after a long day, but often times the daily demands of family life seem to make this goal anything but achievable. During seasons when your kids are involved in sports, music lessons, or other commitments, those peaceful dinners as a family can easily turn into chaos. There is a way to simplify the dinner process and help you feel less stress about feeding your family. And you can also serve them healthy, real food, in the process. 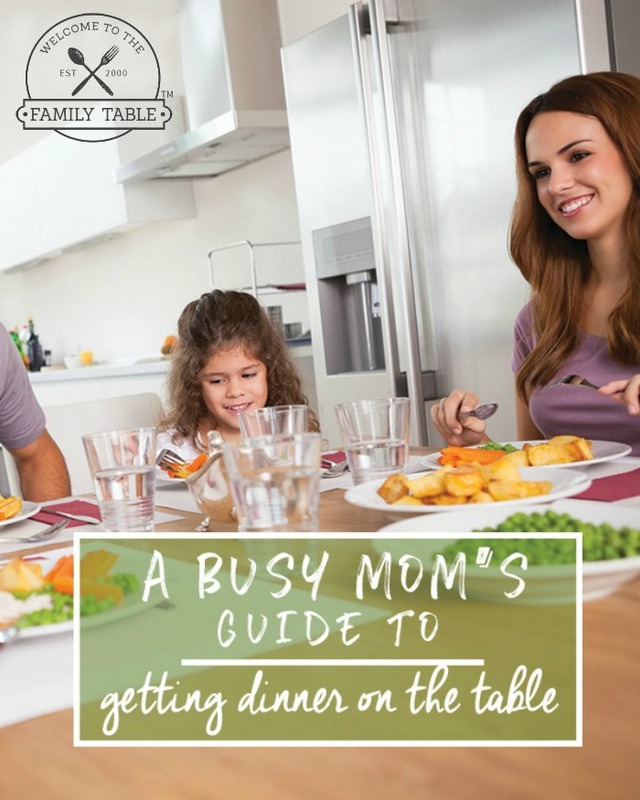 If you are tired of eating fast food and other unhealthy foods due to a busy life, then a busy mom’s guide to getting dinner on the table is for you. Bring out the Crock Pot or Instant Pot. If you don’t have some form of slow cooker or instant pot, you need one. Slow cookers allow you to prepare homemade meals without hours spent slaving in the kitchen! There are hundreds of recipes that require minimal prep work, but are packed with big flavor. Use the Cook Once, Eat Twice method. On nights when you have more time to cook, stretch your meals further by making large batches to stock your freezer. If you are already making ground beef for tonight’s meal, make double and use the extra for another meal later in the week. If you are making lasagna, make two and put one in the freezer for another meal. While this one takes a little more work up front, it will become a lifesaver on busy nights when you need to whip up something quick. Create a Meal Plan. If you aren’t already making a meal plan, you need to be. If you have a solid plan for each week, you won’t be ordering pizza or trying to throw something together at the last minute for dinner. You can create a meal plan weekly or monthly, but you have to start somewhere. To save yourself even more time, save your meal plans to reuse later! Plan Simple and Easy Meals. If you are short on time, don’t try to make complex meals that take a ton of time to make. Instead, opt for simple dishes that can be made in 15 minutes, or that can go in a crockpot. Don’t forget about Leftovers. Try to plan a leftover night at least once a week Reheat anything you have leftover and throw those leftovers on the table for dinner. You can even call it something fun like Family Potluck Night. Eating leftovers is a great way to save time and money because you’re eating food you already have, and it takes just minutes to make dinner. 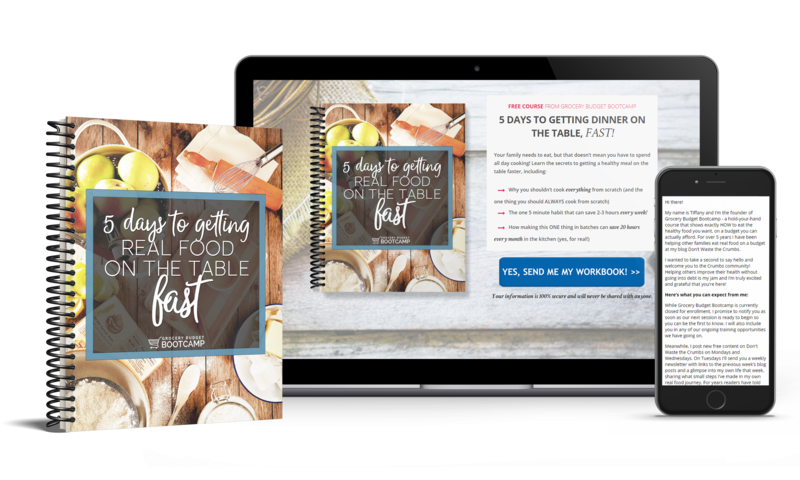 Go grab your FREE workbook to show you how you can get a healthy dinner on the table (FAST) every night of the week!